If so, you are not alone. Hip pain is common with athletes and active people. Your pain may be caused by many different factors. Understanding why you are having pain, and what to do about it is a key to your recovery. Hip Injury or Referred Pain? One thing you have to remember about the hip is that it is a common area for referred pain. Your hip pain may not be caused by an injury to the hip, but rather from an injury in another part of the body. You get pain in your hip because either it is referred from another area that is close by, or because the muscles in your hip are trying to compensate for the other injury and become overworked and irritated. I see this quite often in my patients. They will come in for evaluation of hip pain, and their real problem is that they have problems in their lower back or knee, and their hip is being overworked trying to fix the problem. Figuring out if your pain is because of a hip injury, or referred is something that your physician or athletic trainer can determine. Just one more reason to make sure you seek medical attention if you are having pain. Read on to find out more about your hip pain, and what could be causing it. It is your best chance for getting off the sidelines faster. Pain in the front of your hip in the muscles can be caused by several different things. The most common is a strain of the hip flexor muscles. These muscles run along the front of the hip and help you lift your leg as you run and jump. Most of the time a strain like this is caused by a sudden, explosive movement, and you feel it right away. Anterior pain can also be caused by injury to other areas of the body, like the lower back. Many times, the muscles in the front of the hip will try to compensate for weakness or injury in another part of the body, and they will become irritated and spasmed. This can lead to pain. Pain along the side of your hip may be from bursitis, muscle strain, or referred from another part of the body. Bursitis is common in the hip, especially with runners. Often called snapping hip or trochanteric bursitis, this injury is an inflammation of the soft tissue on the side of the hip. It can be caused by muscle tightness, repetitive motion, or poor biomechanics. Much like the front of the hip, pain along the side can also be caused by injuries to other parts of the body. Your hip can become painful if you are compensating for some other problem. The most common injury that will refer pain to the hip is lower back pain, but you can also have pain in the hip with a knee or foot injury. Pain along the back of your hip can be caused by muscle strain or tightness, or may be referred from another injury in the body. Piriformis syndrome is one cause of pain in the back of the hip. Tightness of this muscle, or restricted motion at the hip can lead to irritation of the area. Pain in the back is also very common with low back pain or SI Joint Dysfunction. 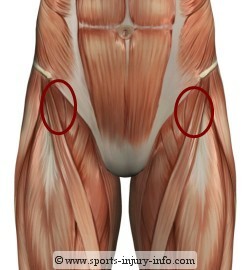 The muscles all around the hip often try to compensate for injury, and become overworked and irritated. 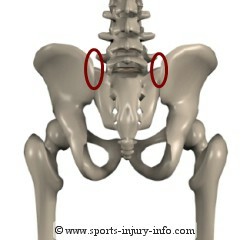 One of the biggest culprits for referring pain to the hip is the SI joint in the lower back. The SI joint is where your pelvis meets your sacrum. This joint can often be a problem with athletes, especially if they have core weakness or are overtraining. Pain that comes on gradually, or moves around from the front, back, and side may be referred pain. 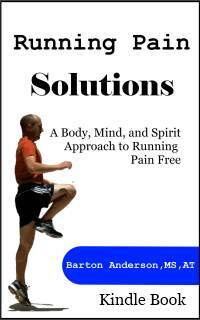 Hip pain can be frustrating and limiting. Figuring out your hip pain is the first step to recovery. It can be caused by muscle strain, bursitis, weakness, muscle tightness, or referred from another injury. If you are having hip pain, be sure to see your doctor for evaluation.